When it comes to Ball Pens supplying and exporter then you will not find better professionals than us. International standards are followed by us in the manufacturing of our Ball Pens. Come and feel the experience of smooth and beautiful writing that too at very competitive price. 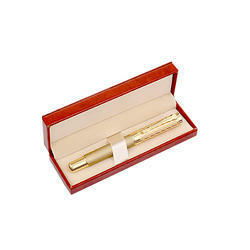 Our company Geetanjali Exports is highly esteemed in offering Metal Ball Pen to the clients. 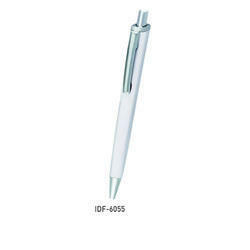 Metal Ball Pen is widely appreciated by students and professionals for smooth writing and light weight. Our Pens are sold in USA and many parts of Europe. Year Planner, Diaries, Calendar, pens. Get your pens, pencils, stationery pre-printed with your brand name and / or logo. We are successfully engaged in trading a wide gamut of Stylish Pens. - These pens we are offering provide very smooth and convenient functionality for efficient writing applications. We specialize in offering a variety of Promotional Pens, which is made using quality material, sourced from trustworthy sources. Keeping in mind the individual requirements of the customers, we offer our range of Promotional Pens in varied sizes and colors. We also facilitate our clients by providing this product range at competitive prices. Our expert designers and craftsmen have crafted a silver ball Pen with a contemporary look and stylish finish. With its distinctive round barrel this writing instrument has a fashionable satin chrome clip and trim to complement modern jewellery and accessories. A. C. Paul & Co.